John - I understand that reasonably well. But trust me, the forecasts are wrong. Just plain wrong. 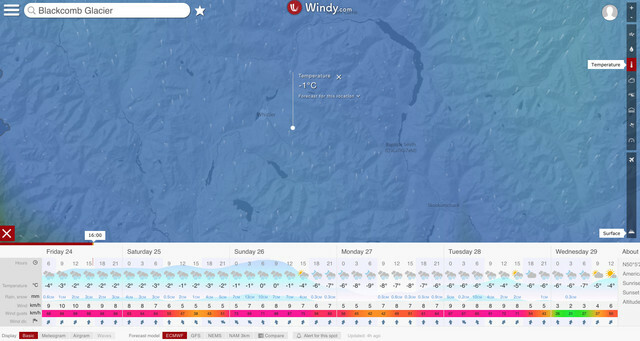 I work every day in the mountains where Windy says it will be raining, it is absolutely not raining, not even close. Perhaps the EC model is trying to be "too clever". But they are chronically wrong either way. 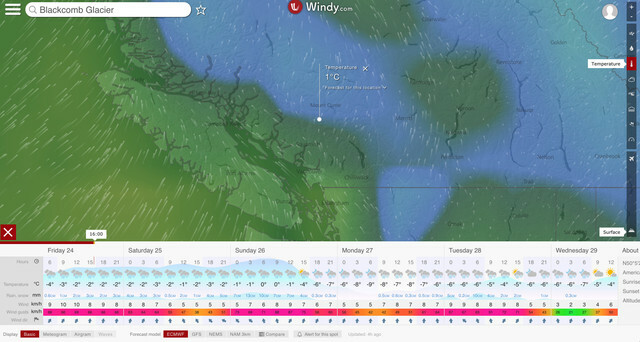 Tomber - Windy may not be responsible in a technical sense, but they publish a website with errors in the forecasts. So in branding and public perception, it is Windy who is wrong, not the model that windy is porting. I like Windy, but I hit so many accuracy hurdles over the years. It is hard to commit to them. Speaking mainly in terms of Windy as a mountain snow forecasting tool. This is a bug. I started the thread in the wrong spot, sorry. Rain and convective rain mixed with snow, at -8C in places where it is clearly snowing. It is a regular error that I have seen on your forecasts for locations around the world. 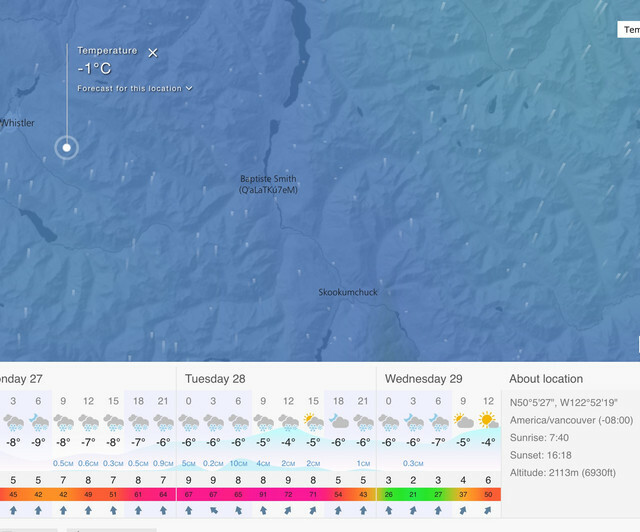 It grid problem, because GFS with a 22km grid does not show rain at all. Either ECMWF data is unreliable/wrong, or your computers are wrong. This is a serious forecasting error. B) elevation above sea level. Look at Mt Fuji in Japan, for example. It is directly next to the ocean, yet Freezing Altitude changes considerably depending on if you click on the summit, or the nearby ocean. Yet it should be the same for very similar Lat/Long location. But those custom settings are not reflected in the bottom right scale of values. It still shows default. RE: What elevation for spot forecasts?